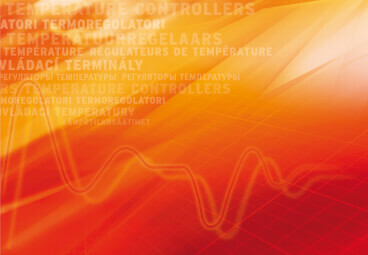 Analogue parameters such as temperature, pressure and humidity may be simple concepts, but controlling them in today’s complex industrial processes can be anything but simple. That’s because they are subject to the constant demand for ever greater optimization. 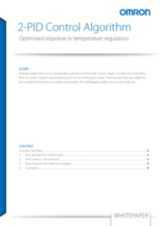 This whitepaper explains how we can help you. Proportional-Integral-Differential (PID) algorithms can be used to control a very wide range of physical quantities. They are therefore one of the most popular regulation methods for a wide range of industrial processes. However, each process is unique. For example, you may require fast ramp-up to a final Set Point (Step Response). Or, you may need high stability during control without overshoot when a disturbance occurs (Disturbance Response). Or you may want both. With a conventional PID algorithm it is unlikely to achieve both goals at the same time. So you may need to make compromises, solving only part of the problem. With the Omron 2-PID algorithm no such compromise is necessary.